On these visits, students run through escape scenarios and learn about what to do in the event of a fire at home. Children also get to hop into the fire truck and learn about firefighting equipment. Unfortunately, research has shown the potential dangers of exposure to contaminated first responder personal protective equipment, and the interior of the fire truck. We want to make sure children receive the education and training they need but also protect them from any potential exposure to harmful contaminants. In addition to keeping our firefighters safe, we also want to keep our kids safe. We manufacturer kids size turnout gear for departments to use specifically during fire prevention training at elementary schools. 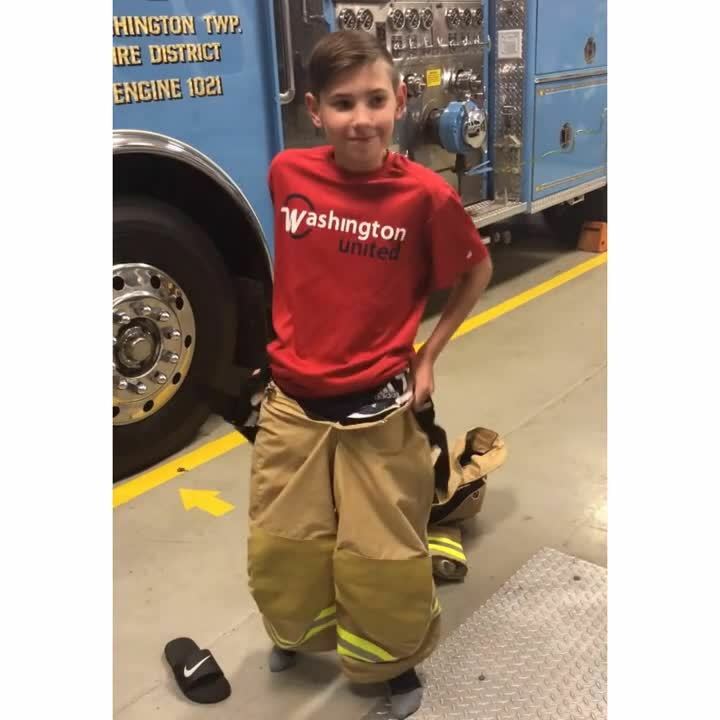 Our first set was made for Washington Township Fire Department in New Jersey, and judging from the huge smile in the photos below, the kids loved it. How Can Your Department Get a Set? Please contact your local Fire-Dex Distributor for more information regarding availability and pricing. Please note this gear is not NFPA certified.